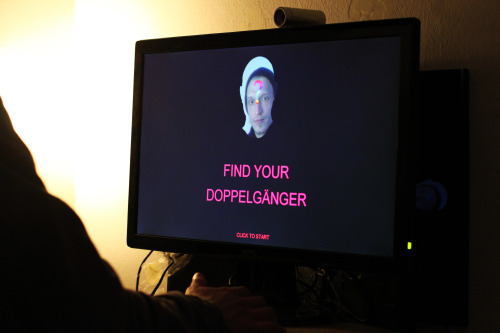 The installation allows you to find your Doppelgänger amongst the Art Hack Day Berlin exhibition attendees. 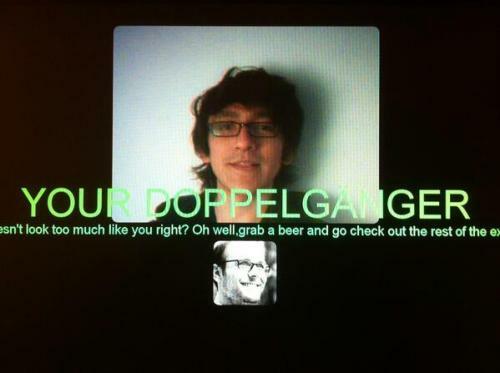 A Doppelgänger is a person that you want to meet. Find out who is really worth meeting tonight and get a good conversation starter thanks to our powerful social analysis software. Get a chance to meet a person just like you! 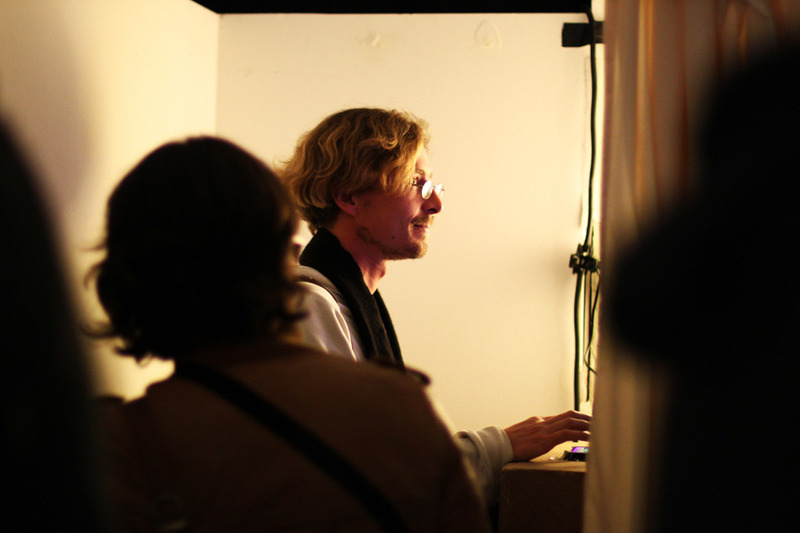 We guarantee a perfect artbuddy for you, and if no match is found you can go home knowing you didn't miss out on anything.